This is a simple dish which you can luxe up with truffle oil and fancy decorations. Perfect for a brunch or a cocktail party as you can make the mushroom cream the day before. Blend mushrooms and onions with a hand blender to a airy mousse. Add vegan creme fraiche and lemon juice, blend until smooth. Add truffle oil, salt and pepper to taste. 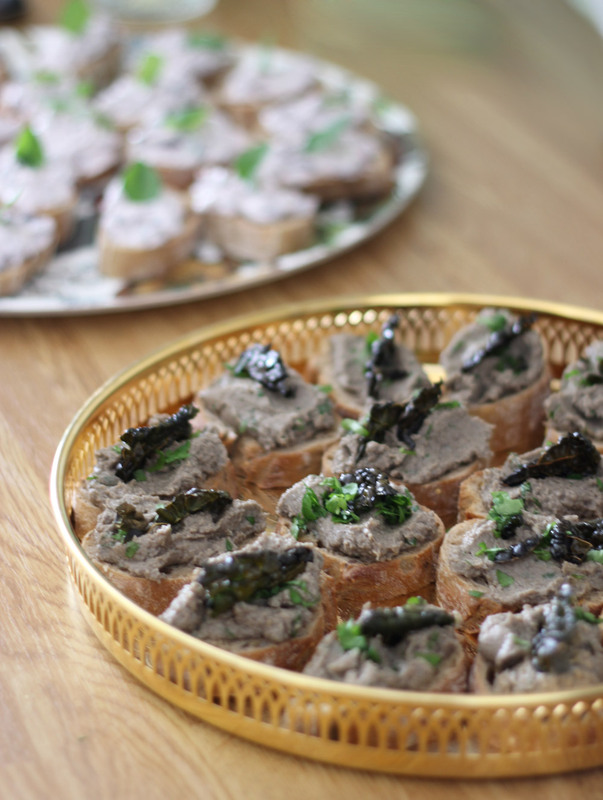 Place on bruschettas, add additional salt and/or truffle oil to decorate. Finish off with and kale crisp. Want to know how to make kale crisps?